#Vesuvius: the day I climbed a volcano – The Public Diaries. I understand the need to look in the direction of the volcano if you live in the region of Mt. Vesuvius. Your home and your life are at the feet of a force that has struck before. The gesture reassures you that things are fine – for now. 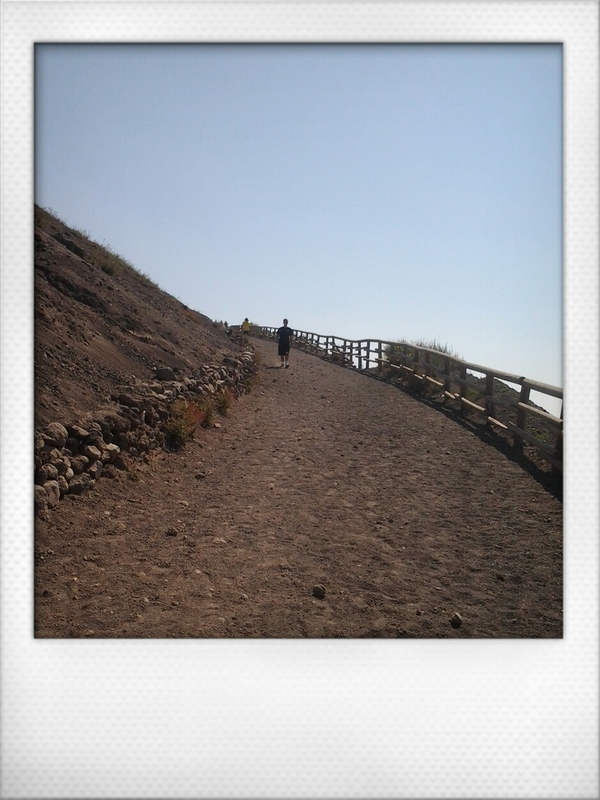 You get the same feeling of restlessness as you climb Vesuvius, ironically, for leisure. The top of the volcano is tranquil and you’re at ease. You say to yourself that everything is fine and then catch yourself looking towards the top to make sure. Climbing the volcano is hard work. The soil is made of volcanic ash and dried, ground lava. Your legs sink into it each time you put your foot on the ground. You progress slowly because of the terrain. The sun blasts you from above. You wonder if you’re going to make it and then remember to also keep an eye on the dormant monster. 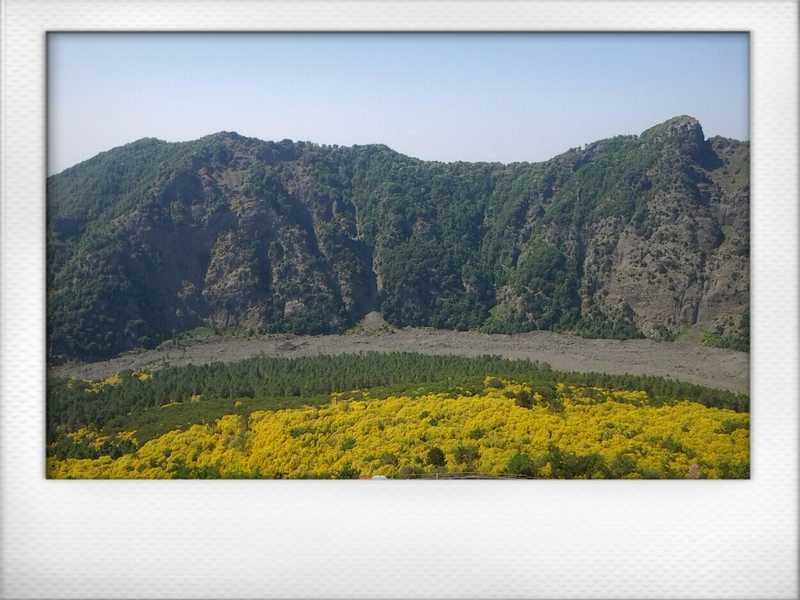 Paradoxically, the slopes are full of gorgeous flowers. Their scent fills the air. I bet they make good honey here. When you arrive at the top, you find a sort of a dusty, dry no-man’s land. The crater is carved deep in the heart of the mountain, covered in volcanic sand and sporadic vegetation. The lava boils silently deep underneath. This volcano looks like it’s long gone out of business and the mild smell of sulphurous and the speck of gas that hisses from within the mountain are the only signs that you’re walking through a mine zone. You’re tempted to irreverently think: “Is this it? !”, but only God knows the bowels of Vesuvius are brewing and when he’s going to spit everything out. Fifteen minutes later, I make my way down to basecamp. The man taking us to Ercolano has asked us to be there by 4.50pm. I regret having to leave so quickly but I’m equally relieved the visit has been uneventful. 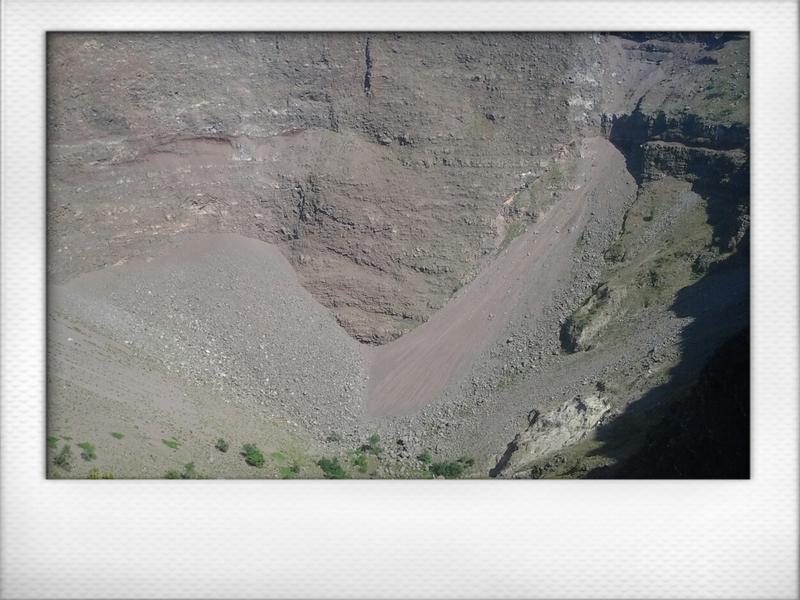 With Vesuvius, you just can’t tell.